Adding a coupons codes page to your WordPress site is extremely easy. It can also be very beneficial for you and your audience. So how do you go about setting one up? In this article we will discuss why you should add a coupons codes page to your WordPress website, and how it can help your business. We will then look at how to use the free plugin Coupon Creator to add coupons to your site and create a coupons codes page. We will also consider if it is worth upgrading to Coupon Creator Pro, or if a WordPress coupon theme is more suitable for your project. Adding a coupons codes page to your WordPress website can be a very effective way of generating revenue. Third party coupons will enable you to make a profit through affiliate sales, so displaying a page of discounts for your website’s niche is a sensible idea. Visit all the websites in your area of interest to find out if they offer an affiliate program. Once you have joined up as an affiliate seller, you can add the coupon for that site’s products to your coupon page. Each time one of your audience uses that coupon to make a purchase, you will earn an affiliate commission. Online shopping is becoming the norm for many. Customers will often search for a coupon for a particular product or store before they make a purchase. Therefore, by advertising coupons on a coupon page, you are likely to attract new visitors to your site who are searching for the specific coupons you are displaying. Once people have arrived at your site, they will hopefully look around, subscribe with an email address, join you on social media, and ideally return in the not too distant future. You will also earn affiliate commission if they use the coupon that brought them to your site in the first place. Displaying coupons or discounts all together on one page makes it easy for your audience to search for deals. If you include a range of coupons, good deals, and discounts for popular products then your site will become the go-to place for people to search for coupons. The benefits of this are twofold. Firstly, the revenue you earn from affiliate sales will increase dramatically as more and more people use your coupons when making purchases. Secondly, your site will start to receive regular returning customers. This will create a loyal community of shoppers, that you can rely on to generate your income. It will also help your site rank in the search engines, thus helping to grow your site’s reach and exposure to new customers. So now you know why you should add a coupon page to your WordPress website. Let’s now find out how to do it. Coupon Creator is a free WordPress plugin that allows you to create and display coupons on your WordPress website. 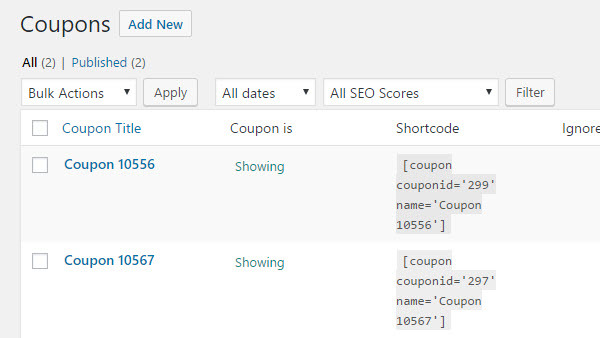 You can add individual coupons to any post or page with a simple generated shortcode. 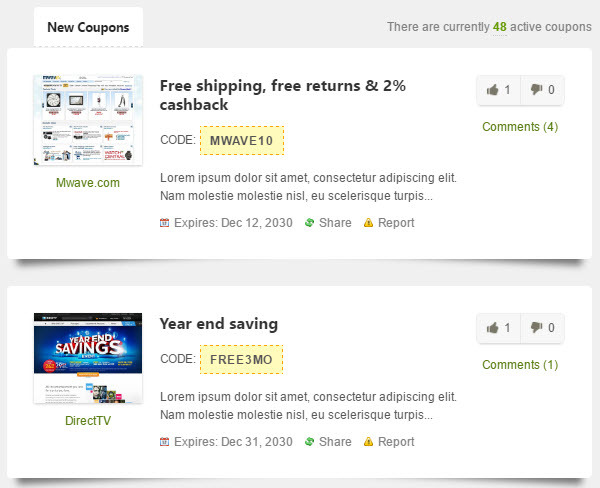 Or add a coupon loop, enabling you to display a coupons codes page. However, if you want to add affiliate links to your coupons, you will need to upgrade to Coupon Creator Pro. This premium plugin includes numerous other features such as a visual editor to give you further control over the design and appearance of your coupons, analytics tracking of each coupon’s performance, and advanced support. Coupon Creator Pro starts from only $34 a year. So if you try the free Coupon Creator plugin and like it, then upgrading to the pro version is something you should consider. In your WordPress dashboard, select ‘Plugins > Add Plugin’. 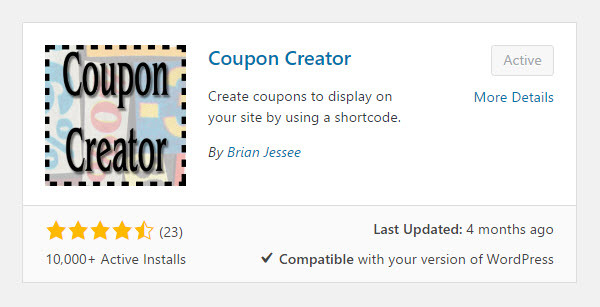 In the ‘Search Plugins’ box, type in Coupon Creator. Click ‘Install Now > Activate’. You will now find a ‘Coupons’ menu has been added to your WordPress menu bar. If you want to upgrade to the pro version, you will need to purchase and download the premium plugin from the Coupon Creator Pro website. To add a coupon select ‘Coupons > Add New’. This will take you to the Coupon Editor. Under ‘Add New Coupon’ give your coupon a name. Scroll down and in the ‘Content’ tab add details of the deal and any terms and conditions that need to be stipulated. 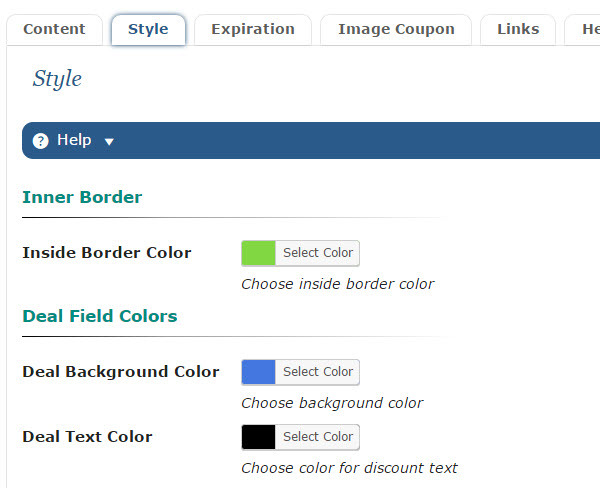 Select the ‘Style’ tab to choose the colors for the background, border, and text. 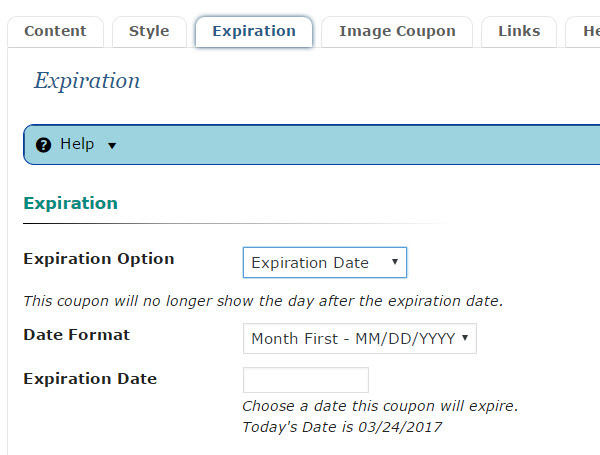 If you want to add an expiry date to your coupon, switch to the ‘Expiration’ tab. 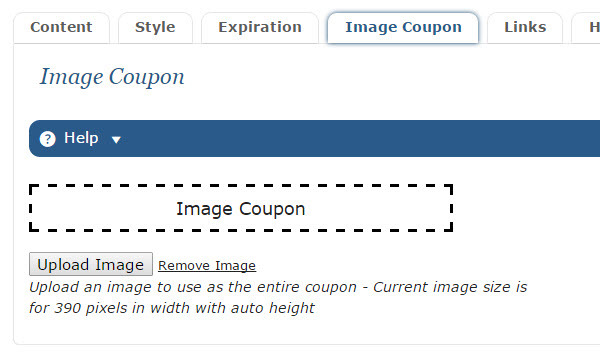 The ‘Image Coupon’ tab will enable you to upload your own coupon image if you wish. ‘Preview’ your coupon to check its design and text. Once you are finished creating your coupon, select ‘Publish’. All the coupons you have produced can be found under ‘All Coupons. Here you can click on an individual coupon to edit its details if needed. Once you have generated all the necessary coupons it is time to create a coupons codes page. This is an extremely easy and quick process. Open a new page, or select an existing page you want to add the coupons to. Select ‘Add Coupon’. This will open a pop-up entitled ‘Insert Coupon Creator Shortcode’. In the top drop-down box, choose ‘Coupon Loop’. 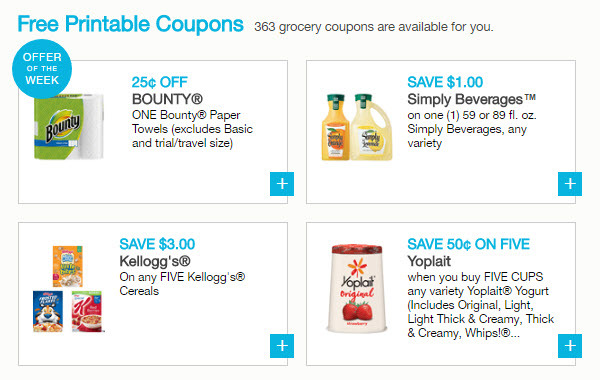 You can then pick a specific coupon category to display, select the alignment and choose how to order the coupons. When finished click ‘Insert Coupon’. This will insert the coupon loop shortcode into your page. ‘Preview’ the page to check it is to your liking, then select ‘Publish’. If you are looking to create a coupon website, not just a coupons codes page, then it may be worth opting for a coupon theme. Deal is a premium WordPress theme from Theme Junkie that will enable you to create a coupon codes website. This built for purpose theme will display and manage a variety of coupons, codes. and discounts for online stores across your niche. Creating a coupon codes page for your website has many benefits. Displaying coupons for your audience will drive traffic to your site, increase your returning visitor numbers and help you rank higher in the search engines. Coupons are also an impressive way to make a steady and reliable profit through affiliate programs. 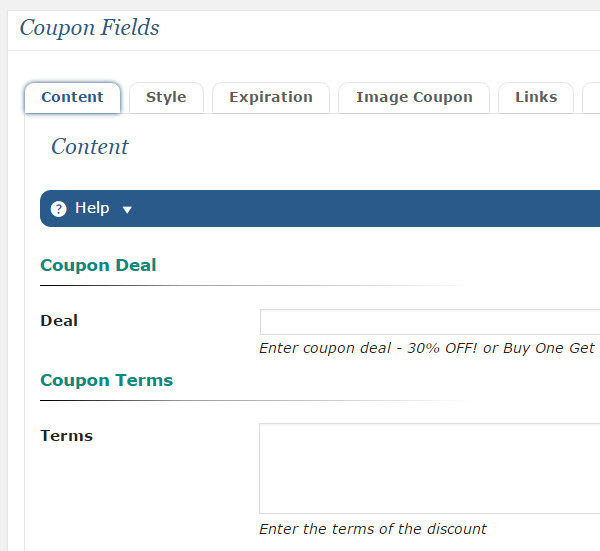 As you have seen, creating a coupons codes page with Coupon Creator is very easy. So, if your niche lends itself to coupons, then it is time to add a coupons page to your WordPress website. Are you ready to create a coupons website with WordPress? Please share your thoughts in the comments below.